By Teresa Aquila / Tee702@aol.com Teresa is a top-notch mechanic with more than 28 years of experience repairing everything from Porsches to school buses. Currently she teaches a basic auto-repair class for women. Here it comes, E15. What is E15? 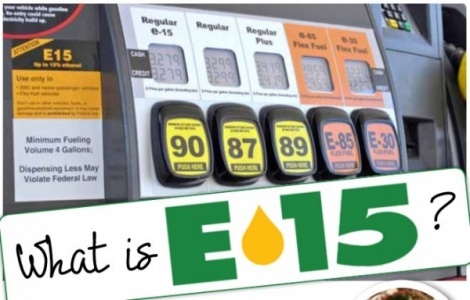 API officials and a wide group of opponents that included auto manufacturers and poultry farmers argued that E15 could cause corrosion and damage to several car components, including engines. Some car makers say drivers could inadvertently void their warranties by pumping it into their gas tanks. AAA, the nation’s largest motoring organization, has called for increased study of the potential dangers to vehicle parts, and says potential dangers particularly exists for vehicles built prior to 2001.The EPA, on the other hand, says E15, which is comprised of a 15 percent ethanol blend instead of the usual 10 percent, is safe for cars. to consider so that you do not pick the wrong nozzle. I am also concerned for household items such as lawnmowers and weed eaters just to name a few if this type of fuel is used. Make sure you read your manufacturers owners manual to learn what type of fuel should be used. You do not want a costly mistake. I remember the days when fuel was pretty simple to purchase and I must say, it also was way less than a $1.00 a gallon. With that price, you also received full service. Of course, those days are gone for good, so making sure you keep your automobile running in top shape and avoiding the costly trips to a service shop are always top priority. One thing I do at the first of every month is to use a good brand of fuel cleaning. It helps to keep the injectors running efficiently. The EPA, on the other hand, says E15, which is comprised of a 15 percent ethanol blend instead of the usual 10 percent, is safe for cars.